The ECK Masters mingle with people still today. Oftentimes they come in people’s dream states, while at other times they offer direct aid physically when someone is in trouble and needs immediate help. These little-known Masters surely do exist. Their sole mission is to encourage and help Souls who want to return home to God. When the time is right, an ECK Master will make his presence known to you. It may be someone like Rebazar Tarzs, or Peddar Zaskq (who, as Paul Twitchell, founded the modern-day movement of Eckankar). So when a seeker is ready, an ECK Master appears and lends a hand. Yet he often comes in disguise. You may ask, Why would they help me, a stranger? After all, I’m Christian. I don’t believe in ECK Masters. But remember a basic doctrine of ECK* is reincarnation. 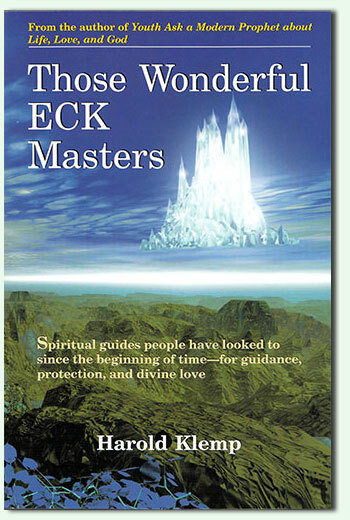 Most all who come to Eckankar today were followers of ECK long ago and disciples of one of these ECK Masters. Their pictures are readily available for this reason. The pictures are in ECK books (like this one) and on posters at ECK centers. This aid is for new and old in ECK alike. Newcomers may thus have a chance to recognize one of their dream teachers, these wonderful Adepts in the Ancient Order of the Vairagi. So the ECK Masters act as people’s advisers and guardians, and may remain with these chosen few for an entire lifetime. And sometimes, indeed, they’ve appeared years before these people even heard of Eckankar. Excerpted from Those Wonderful ECK Masters, by Sri Harold Klemp. This book is now available at the Eckankar Online Bookstore, Amazon, Barnes and Noble, and other outlets. It is available in both print and e-book formats. * ECK is short for Eckankar; ECK also means the Holy Spirit.